Disney seem to be remaking all their animated classics into live action, so it’s interesting to see that The Addams Family is moving away from two eras of live action back into cartoon form where they started. We have the first teaser for the new movie below, and let’s just say it is dividing fans. 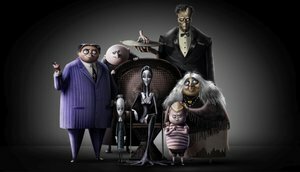 Due October 11th 2019, this Addams Family stars Charlize Theron, Oscar Isaac and Chloë Grace Moretz among others, a cast so popular many people are saying they should have just done them live action, because it’s the animation and script people are unsure of. You can see what you think.